Note: IREPS works best on Internet Explorer. Click on 'Retry' button and your page will be refreshed. 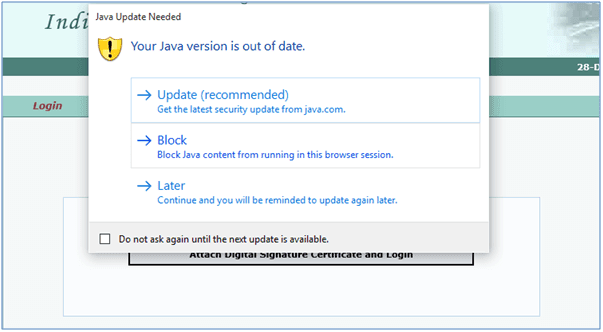 Click on 'Later' to continue this time or click on 'Update' to update the JAVA installed on your system. Now click on 'Attach Digital Signature Certificate and Login' button to attach your DSC, a pop-up will appear, select your DSC from that and click on OK button to login successfully. Note: If you click on 'Run This Time' button then it will run once and every time you need to run it when it appears. It will be better that you update your JAVA version and your problem will be resolved. Update the java installed your system. You can also uninstall the java from your system and after that install the latest version of java. I tried this but it is still not working please reply asap. Which browser and what version your are using on your system? IREPS works best on Internet Explorer. Windows 10 comes wit Microsoft Edge browser and it is default browser for Windows 10. 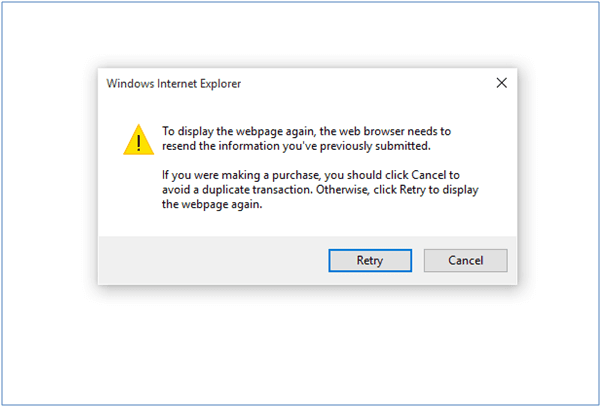 On Microsoft Edge browser IREPS not works perfectly. You need to work with Internet Explorer on windows 10. 1. Type Internet Explorer in the Cortana/Search box. 2. Right click on Internet Explorer in the Cortana/Search window. 3. To add Internet Explorer as a tile on your Start Menu click Pin to Start. 4. To keep it on your taskbar simply click Pin to taskbar. Now you will be able to login successfully with Internet Explorer on Windows 10. Sir m using internet explorer with latest version of java but the problem still persist what should I do now? 1)Ensure JRE Version is latest. 2)Clear all the cache files from system. a)Start --> control panel --> java(32 bit) --> General --> Temporary Files --> settings --> Delete files ,Then OK.
b)Delete Temporary files from Browser also , Tools --> Internet options --> General -->Browsing History --> Delete -->Select all the checkbox and delete the files. Please check the version of JRE which you have installed it should be JRE 32-bit. If you are using 64-bit JRE then you may face the issue. Bidding option is not show.what I do? Where you are searching for bidding icon? Can you tell me your problem in detailed? Please re-install the your e-token driver. i m using 64bit and when was attched my dsc an erorr show (fail to open websinger: object dosent support this property or method) what is it mean? is jre not working on 64bit? plz give the solution. It may be related to jre, please re-install the jre. What error you are getting? can yo post the exact error or screenshot? the application will not be executed"
Have you tried the above solution? Please check the installed version of JAVA on your system and ensure that there should be only one version of java installed on your system. Applet loading fail .What shall Ido. Go to TOOls--> compatibility view settings and uncheck the "display intranet sites in compatibility view" option. One thing which also needs to be mentioned about these websites dealing in business of overseas property is that besides taking care of your overseas property for rent, they can also assist you in finding suitable property for you or assisting you in finding the right type of property to invest in with the overseas market. 1. Cleared system local cache. But still i am getting the same error on the very first page of vendor registration. 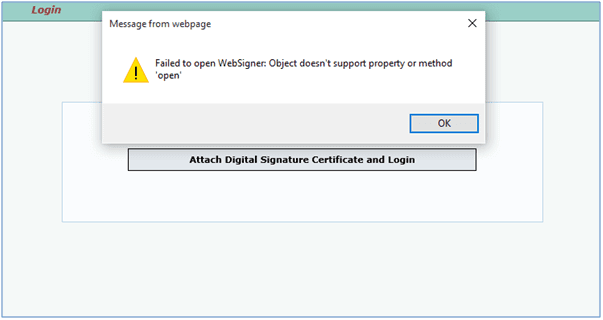 It says "Failed to open web signer: Object does not support this property or method"
Please let me know what else can i do to fix it. Have you tried to run the IREPS website in Compatibility Mode? After that try to register on IREPS. You operating system is 32 bit or 64 bit version? In both cases you need to install 32 bit version of JRE on your system. Have you installed the JRE 32 bit version? Please check it, if you have installed JRE 32 version then in control panel you will see the JAVA (32 bit) otherwise you will see only JAVA. If it is showing only JAVA in control panel then it means JRE installed on your system is of 64 bit version. Now you need to uninstall the 64 bit version of JRE and install the 32 bit version of JRE (download and install the file named jre-8u131-windows-i586.exe) and your problem will be resolved. 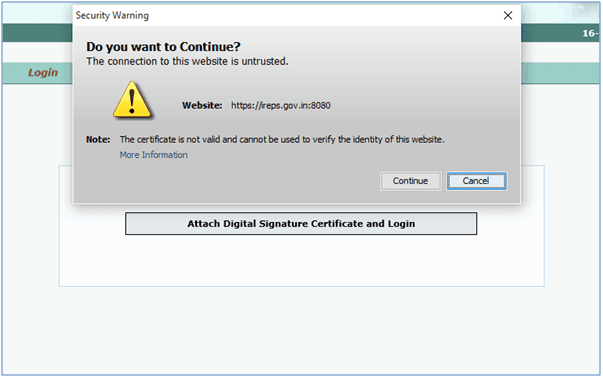 on clickign attach digital certificate and login button I get a pop up stating 1. jre not installed or corrupted. 2) either no ceritficates are installed or there was some exception in reading the digital certificate ==> object does nto support the property or method open. This type of error I am getting when I am trying to login or forgot password. My PC is Widows 10 and the Internet Explorer is Version 11 I Have installed Java latest version. My computer crashed last week after that I have installed all the above. 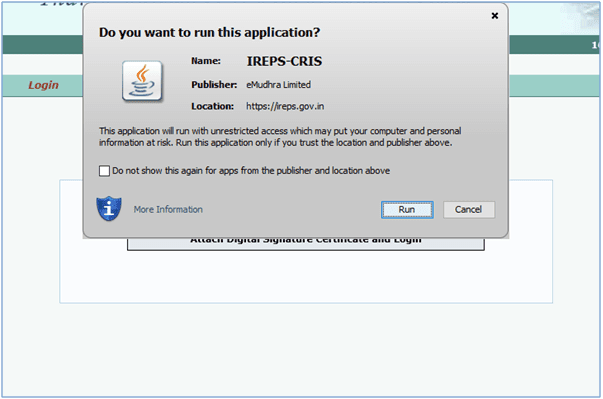 But, I could not enter in my IREPS logging and it states "Failed to Open Web Signer: Object doesn't support property or method open" After which I had contacted IREPS helpline several times they says I have install Java Latest version, by doing that My problem could not be solved. Kindly give me a proper solution. Please check your JAVA version it should be 32-bit. Go to command prompt and type the below comand to check the JVA version 32-bit or 64-bit. I am using windows 10 and trying IREPS on Internet Explorer after installing Java 32 bit but still getting problem. On Windows 10 you are using Internet Explorer or Microsoft Edge browser? Because windows 10 comes with Microsoft Edge by default. 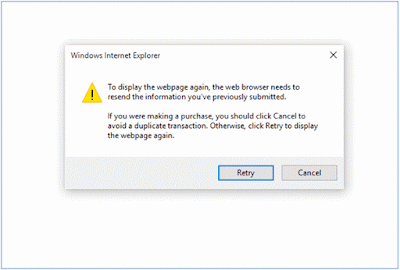 If you are using Internet Explorer then please try to run the ireps in compatibility view mode. just another website by modi govt to harass the general public. there is a tout in panchkula who will fill the tender for you he charges 2000/-. I am told that he is the only person in chandigarh who is able to fill railway e-tenders. he has some setting in the ireps and gets to know how to configure his computer according to the requirement of the site. Poor law abiding citizens are at his mercy . He is ill-behaved because of his monopoly. This website works in very rare cases. Will not work if your processor is i5, or i7 , or pentium only c2d. does not work on Win 7, win 8 ,win 10 if they are 64 bit.... only with win xp because it is 32bit. I am agree with you that IREPS not works smoothly on Chrome and Mozilla but other facts specified by you are not correct. Please read the below details carefully. 1. Currently IREPS works on Windows Operating Systems. 2. IREPS works on both 32-bit and 64-bit Windows Operating Systems. 2. IREPS works on all type of processors that can be Intel (i7, i5, c2d etc. ), AMD etc. 3. IREPS works with the latest version of JAVA but JAVA installed on your system should be of 32-bit irrespective of your operating system which may be 32-bit or 64-bit. 4. IREPS works perfectly on 64-bit computers but JAVA installed on your 64-bit computer should be of 32 bit. 5. IREPS works on all windows operating systems (Windows XP/7/8/10) with latest service packs. If you system is of 64-bit then you need to install 32-bit JAVA on your system. 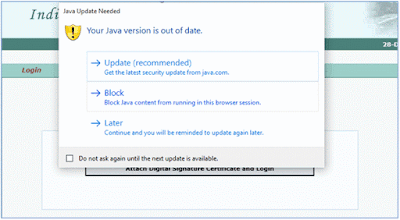 Please click on below link to see that how to install 32-bit JAVA on a 64-bit System. Have you tried to contact to IREPS Helpdesk, please contact them and they will help you to ready your system for IREPS application. i am working in window 8.1 internet explorer 11 and as u mentioned above i installed jre of 32 bit then i checked it in control panel too it shows java(32bit) still it shows "failed to open web signer"
Please try after re-installing the latest version of 32-bit JAVA. To reset browser settings open Internet Explorer go to Tools >> Internet Options >> Advanced and click on Reset button. After resetting the browser setting please try to login. first of all thanks for the quick response. reset setting will clear activeX contorls to disable right, but any way i tried it still shows the same dialog box "failed to open web signer". Please check java version installed on your system by using the command as given in below link. 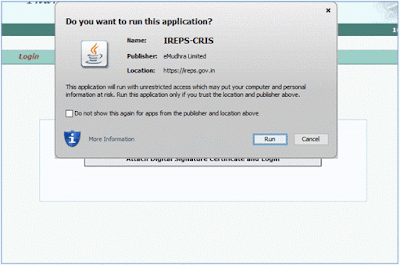 it shows "Failed to open WebSigner: this.pki.open is not a function"
Presently you can login on IREPS website only on Windows systems with Internet Explorer. hello sir, i am trying to login ireps but it shows the following error "failed to open websigner object doesn't support" if anybody knows then please reply..
Have to tried any solution provided above in this post? Its looks like that issue is related to your token driver, please install the correct token driver and your problem will be resolved. Hello Sir, When i am trying attach my DSC to IREPS, certificate is not showing in eMSigner (LAPTOP). But in another computer(PC) it showing.I am working IE11 right now.please help me out on this problem soon. Have you installed the same token driver on your Laptop which you have installed on your PC? Have you tried the solutions provided above to resolve your issue? It is PIN of your digital token. I am facing problem while opening Tender results, when am clicking the 'view commercial tabulation' icon the window is opening and automatically closing. I have checked the pop up blocker is off. But still the problem is persisting, kindly help me. Please reset the setting of your browser and try again, if problem still persist try any other browser. Which browser and what version your are using on your system? IREPS works best on Internet Explorer. We are facing problem in registering new vendor kindly help this error "Failed to open WebSigner: this.pki.open is not a function"
Have you tried the solution provided in this post? When i try to login, I get a CRIS pop up. Not sure what am I missing here! I'm facing the same problem as most users above are. I'm using OS Windows 10. The only thing different that i'm doing is probably that i haven't exported my DSC onto my system as is instructed in the IREPS manual. I'm still using my DSC USB Token. Is this what is creating a problem in logging in?? Another question suppose i export my certificate onto the system. Will it be completely exported from the Token or will only a copy be downloaded on the system. I'm asking this I am also a Contractor for the MOD where the Token is required for signing in? ?